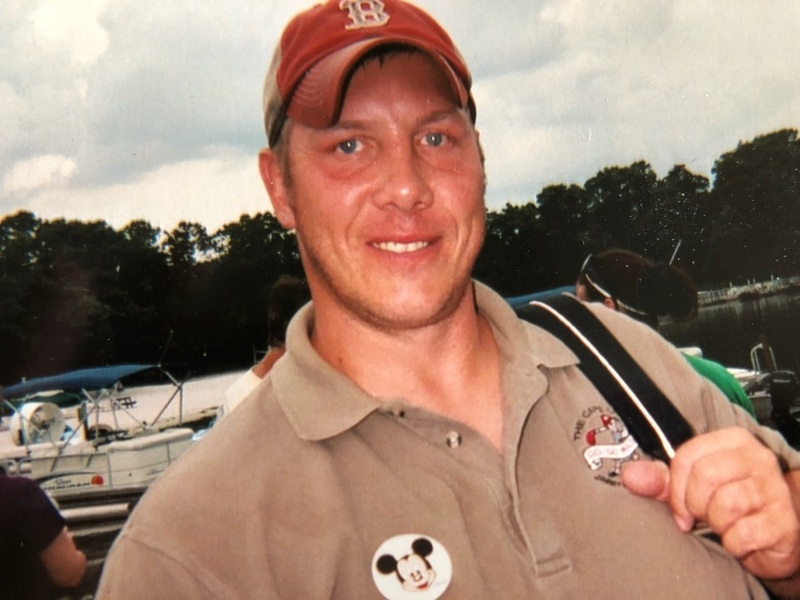 Robert (Bob) Stull, 45 of Norwell, passed away unexpectedly, Monday, March 18, 2019. He is survived by his loving wife Kerri, and his four children Kyle, Reanne, Jacob and Lindsay, his parents Deb and Dan Traknis, his brother Brandon and his wife Kristen, his brother and sister in law, Jeanne and David, his brother in law, Chris DePari, his mother in law, Jan DePari and his nieces and nephew. Bob was the son in law of the late Greg DePari. Bob will also be forever remembered by extended family members and many dear friends. Bob was born in Quincy, MA on February 15, 1974, grew up primarily in Marshfield, MA but his family decided to move to Fort Fair Field, Maine where he ultimately graduated high school. Bob worked in the carpentry union and for some other location construction companies throughout his career. Bob was a dedicated husband and father first and foremost. He treasured his wife and children and embraced every moment with them. He had the hug of a teddy bear and always had a smile on his face. Bob brought laughter and love to all that he knew and he did his best to enjoy every day, he had an infectious personality. He had tremendous respect for the military and all that served, especially his family members. Bob was an active volunteer in the children’s baseball and football teams and spent endless hours at the fields helping in any way that he could. He was an avid sports fan that had a passion for his Boston sports teams, he also enjoyed grilling, taking a drive, grocery shopping with Kerri, days at the lake in NH with family and friends, playing in the Norwell Men’s Softball league, block parties in their neighborhood but primarily anytime with his family is what he treasured most. Family and friends are invited to attend visiting hours on Sunday, March 24th from 4-7pm at the McNamara-Sparrell Funeral Home, 30 Central St. (off Rt. 123, near state police barracks), Norwell Center. A funeral service will be on Monday, March 25th at 11:00 am at Old South Union Church, Weymouth. In lieu of flowers, donations in memory of Bob may be made to the Norwell Youth Football or Norwell Girls Softball and Baseball or to go find me.